Apologies for no post yesterday. As I think i’ve said before, Thursday is my tennis club night and it was a perfect evening weather-wise. I’m still waiting for that moment when everything clicks in my game; my serve was dreadful last night (i’ve never served so many double faults into the net!) but my volleys and backhand were decent. I’m still reliving the moment when I hit a backhand return winner… if you saw my backhand at the start of the summer, you’d understand my joy! 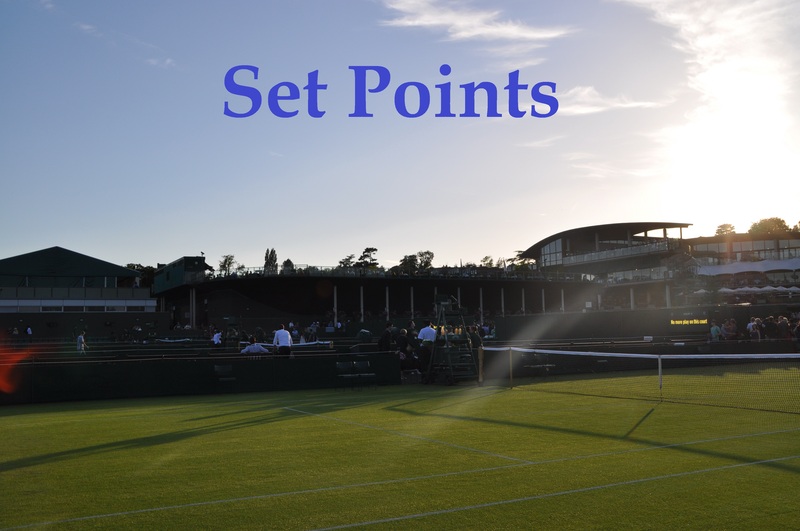 Here are Friday’s Set Points as the tournaments in Nottingham and Rosmalen had their quarter-finals, or at least tried. Nottingham has had a surprisingly clean run with the weather so far but that all came crashing down on Friday as rain wreaked havoc with the schedule. Just eight games were completed with Alison Riske leading Anett Kontaveit, 5-3 *40-40 in the first quarter-final of the day. This sets up a rocking Saturday schedule. However, heavy showers are anticipated for the late evening so it could be another rough end to the tournament after last year’s edition stretched to a Monday final. Furthermore, there’s a couple of players still in the Nottingham draws who are on the schedule for Birmingham qualifying tomorrow… it’s getting messy! I was thinking about going to Birmingham for qualifying tomorrow but the weather looks potentially dicey. Rosmalen had no such problems with the weather and has an intriguing duo of semi-finals to look forward to on Saturday. First up will be an all-American affair (11am local time) between CoCo Vandeweghe and Madison Brengle. Vandeweghe continued her saunter through the Rosmalen draw with a comfortable victory over Evgeniya Rodina. The American player won the title in the Netherlands back in 2014 (her only WTA career title) and is looking the most likely player to triumph again. The second semi will feature BFFs, Belinda Bencic and Kristina Mladenovic. Both have been impressive this week; Bencic is playing her first tournament since Charleston and has come through some tough matches. Her quarter-final win over fellow Swiss, Viktorija Golubic was her first straight sets win, but still took over two hours in two tiebreak sets. Mladenovic arrived in the Netherlands with barely any time to prepare for the grass after winning the Roland Garros women’s doubles title with Caroline Garcia. Her super run in Paris (also reaching R3 in singles too) seems to have reignited her year as she beat surprise package, Elise Mertens, in the quarter-finals. After a dire start to the year, Mladenovic is enjoying her best run of the year so far. Bencic and Mladenovic played each other in Rosmalen last year where Bencic squeaked out a victory, 7-6(4) 6-7(7) 7-5 in two hours and 51 minutes. This seemed to be the tournament last year where their friendship really blossomed. I’d fancy another very tight match… Bencic just? Moving back a day to Wednesday, this was a fabulous point in the Konta-Zheng match in Nottingham. It was such a shame to hear that Konta had an injury but it sounds like it won’t derail her grass court season. For anyone heading to Queens next week for the ATP tournament, there’s a website and app called JustPark which allows you to reserve cheap parking. JustPark has plenty of cut-price parking spaces near Queen’s and fans can reserve their space in advance here. I’m delighted to say I have a discount code for tennis fans to use… using the promo discount code MOOSTENNIS20 at the payment page will get you 20% off. I hope this might be useful to anyone going to the tournament next week! For UK tennis fans, the BBC announced on Wednesday that the original Today at Wimbledon highlights show (which they reverted to after a week of the dreadful new format last year) will be back for 2016. I’m relieved to hear that Clare Balding is back as the host! 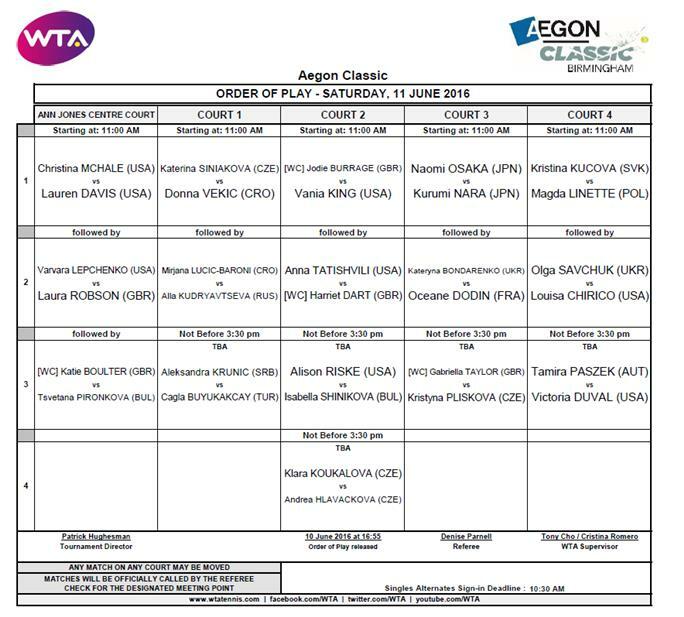 June 10, 2016 in Nottingham, s'Hertogenbosch, Set Points, WTA. The abusive tweets etc that tennis players get spoils the enjoyment of twitter for many people. Heather Watson said last year that she had received death threats which were mainly from gamblers who had lost money on her matches and Belinda got an abusive message yesterday which was reported by some of her fans including myself and it seems that it was from a gambler also and I have noticed that she has not been on twitter since. I do bet on sports but not on tennis and do not understand the mentality of these people and it seems that trolls and bad gamblers are a growing problem on twitter. Anyway I think that Belinda should just win her match and I am hoping that Madison Brengle can win her match. The forecast for next week is not promising until later on so Birmingham looks likely to have a lot of weather delays unfortunately. I’m a gambler, and have never attacked a player on twitter,facebook, or any platform. Those that do are typically in over their heads and probably lost their rent money on a match or game. They are losers at life, and have to take it out on someone else for their downfall. I don’t feel that telling a player they played awful or something to that sort should result in punishment, but any threat of physical harm should be met with severe punishment.